Below are some comments we received from attendees to our webinar that took place the morning of October 5, 2011. It seems we are truly making an impact with these presentations. I am very thankful for the opportunity, as well as for all those who took part in the event that provided feedback – both positive and negative. The positive feedback reinforces my drive to spread the message, while negative feedback usually provides constructive criticism which can be used to present a better and more effective delivery in the future. Thank You once again to PharmCon! It’s difficult when the law is one way but the employer choses to ignore the law because the “front line” is who gets in trouble, not the “desk jockeys”. Certification may be mandated, but that’s not necessarily what you get. I wasn’t sure what to expect from this presentation but I thought the topic was very interesting. I think it was very well done and it’s great that Mr Jerry was able to participate and that there was info on the foundation and Second victims. Again, thank you for the enlightening presentation of Fate, Destiny: Life I am awakened to the power of patient safety, responsibility and personal healing. The sharing of those involved brought a smile to my face and a dance within my soul. Thank you. Tragic situation for all parties involved. Shouldn’t the OH State Board of Pharmacy had some responsibility as well in the fact they did notm, at the time of the incident, regulate pharmacy technician? I saw the original webinar also. Wow, what a powerful, emotional story. Thanks! Best presentation in all respects that I have seen. Thank you. Seemed very biased towards the pharmacist. A Pharmacist must learn to prioritize tasks and not allow themselves to be rushed. Put a person with the name and think about the condition(s) being treated and how an error could affect the patient and family. If an error is made take ownership and responsibility for it and offer sincere apology for any potential negative outcome(s). This is a very powerful story. It made me cry.. Very important topic medication error and the end results. This is a story that needed to be told. Very informative and inspiring. excellent webinar !! It had a lot of information to think about!! Its all about focus, staying aware that what we do isn’t just a list of tasks but a person at the receiving end of our work. Over worked and under staffing is becoming a broader issue and projects errors such as this horrific one. This could have been avoided if basic safety procedures were instituted as policy in the hospital & followed to the letter. This was one of the best CE’s I have ever participated in, and certainly the first time a CE has brought me to tears. The gravity of what we as pharmacists do everyday is huge, and we can not forget the human element of our job. Thank you so much for presenting this moving and informative CE. God bless Mr Jerry and Eric, as you will both be in my prayers. This was a wonderful CE. Thank you very much for putting everything you have out there to educate as on something that we have the potential of dealing with. this is a very eye opening lesson that if we do not Love God above all, we can be doomed to such tragedy, that will humble us, for Eric, he loved his profession so much more than God. Mr Jerry’s Family was given the hardest test, but thank God he learned to forgive. They are characters in the story so we may all learn. My thanks to Mr. Cropp and Mr. Jerry for sharing such a painful time in both their lives. Their willingness to do so may protect many, many “Emilys” in the future. A nearly identical error happened at our hospital in north carolina. Thank goodness the pharmacist, one of our best, did not go through anything comparable. The board just focused on making sure the hospital put into place systems that would prevent another error. We are still understaffed, though. I had the opportunity to tell Emily’s story to a great group of people at the Baxa Corporation. They are involved in designing and manufacturing technology that will truly change lives for the better. I can’t stress enough how thankful I am to them all. As a patient safety advocate I recognize that these are the people who are saving countless lives every single day. I truly appreciate the opportunity to visit their offices, and am excited about our relationship going forward. Check out the video of my speech below..
Englewood, Colo. – “Fatal saline overdose.” Three words a parent never expects to hear. But Chris Jerry did. Jerry’s daughter Emily died when a pharmacy technician’s mistake resulted in a fatal dose of saline solution. Three years later, in 2009, Jerry founded the Emily Jerry Foundation, a non-profit foundation dedicated to the prevention of medical errors. 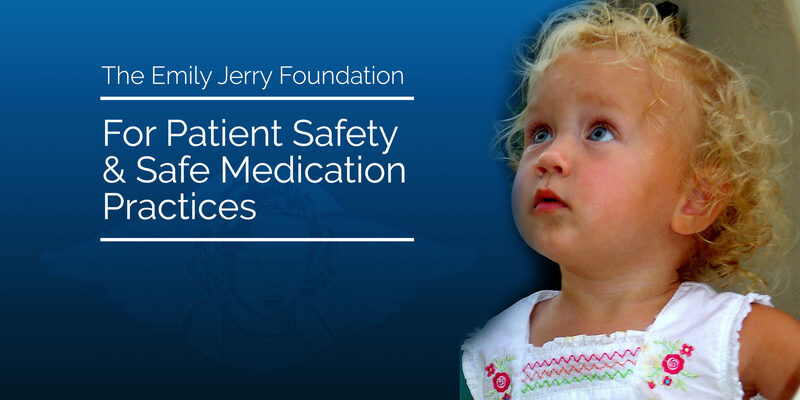 Today, patient-safety advocate Baxa Corporation formally joins forces with the Emily Jerry Foundation to evangelize patient safety. As an Emily Jerry Foundation partner, Baxa will collaborate with Chris Jerry, Foundation President and CEO, to increase public awareness of solutions that can reduce the rate of human errors. The Baxa pharmacy workflow management tool, DoseEdge®, through barcode verification of every drug ingredient, has prevented more than 339,500 dose preparation errors in US hospital pharmacies. Read the entire official Baxa News release about the Emily Jerry Foundation partnership by clicking here. The Emily Jerry Foundation is very proud to announce the new partnership with Baxa Corporation. 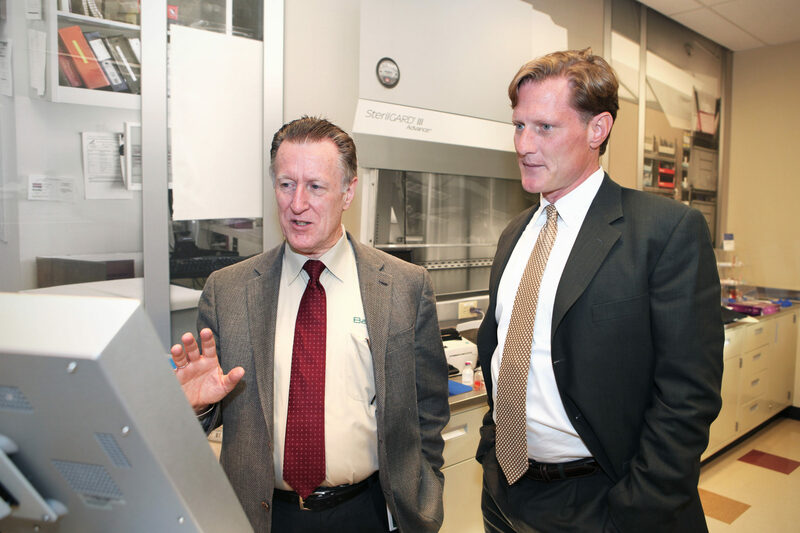 I have been working extremely hard to establish key partnerships with like minded individuals, organizations, and patient safety oriented technology manufacturers across the country like Baxa. Patient safety is a number one priority for the people at Baxa. Through the implementation of Baxa’s technology and products into the pharmacy workflow medical facilities across the nation can now significantly reduce the human-error component of medicine that can often lead to medication errors and similar tragedies like Emily’s. With that in mind, The Emily Jerry Foundation is genuinely looking forward to a very long and mutually beneficial relationship between our organizations. I am looking forward to visiting Baxa Corporation this month to give presentations and to meet their team in Englewood Colorado. Additionally, I am scheduled to do a Satellite Symposium with Dennis Tribble, Baxa’s Chief Pharmacy Officer and Chief Technology officer, at the upcoming American Society of Health-System Pharmacists (ASHP) Midyear Clinical Meeting in New Orleans this December. Last Week, I had the pleasure of performing another Continuing Education webinar with PharmCon. To view the webinar click on this link for FreeCe.com. The following are a list of comments and feedback we received on the event. Lots of great feedback and kind comments. I truly appreciate all the acknowledgements and am excited my story is helping to make a difference! I received a very kind letter from Summa Healthcare’s Maria Giannakos regarding last week’s lecture. I wanted to share it with you all. August 25th live Webinar at 8:00 pm Eastern time. Make sure to mark your calendar for this live webinar. This moving presentation spans the five years since Emily’s tragic death, and the changes that have resulted in the lives of the pharmacist, Eric Cropp and the father of Emily, Chris Jerry. Both Eric and Chris are co-presenting this webinar. This presentation can be accessed on www.FreeCE.com and there is a $35 registration fee to non-members of the web site. All registration fees for this presentation are donated to the Emily Jerry Foundation. “Virtual” seats are limited, so go to www.FreeCE.com now and register. This presentation is also ACPE accredited for one live credit hour for pharmacists and pharmacy technicians. This presentation reviews the effect of a tragic medication error on the lives of the two victims, patient Emily Jerry and pharmacist Eric Cropp. Over the span of four years since the incident, much has changed in the lives of the families involved and in the practice of pharmacy. This compelling and emotion presentation is presented by Eric Cropp and Chris Jerry. This is the sequel to “Emily’s Act: Impact on Public Safety and Medication Errors”, which many participants stated was the most moving continuing education program they have ever attended. To learn more about the repeat presentation on Thursday, August 25th visit the freece site by clicking here. partnership to promote pediatric dosing safety and standardization. considered the gold standard for pediatric dosing. More recently, Dr.
code situations requiring acute dosing with children are error-prone. of children to drugs and due to the complex calculations required. is available on the iPhone, Android, and Blackberry app stores.